Despite the research, documents, and experts that recommend reading books as part of your daily routine, there are staggering statistics out there about how little people read nowadays. When it comes to those of us in creative field, such as designers, writers, marketers, etc., the problem isn’t that we don’t read, it’s that we spend our time reading blogs, tweets, magazines, and other short form snippets. It is in our nature to want to consume a lot of information in order to stay up to date. But this does not work our brains the same way as a book. Reading a book forces us to ditch the distractions and focus. It’s this focus that acts as a catalyst for the many perks that come from reading books, not the least of which is an increase in creativity. Exercise Your Brain! Mental fitness is equally as important as physical fitness, and like our bodies, our brains need exercise daily to stay fit. But instead of exercising our minds, we immerse ourselves in the internet, and then we wonder why we have such a hard time coming up with creative ideas. Reading just 20-30 minutes a day can significantly increase the strength of your mind and creativity. Increase your Concentration! We live in the information age. A fast-paced world where we’re surrounded by gadgets feeding us words, data, links, status updates, etc. It is often TOO much to digest, our mind is overwhelmed and we don’t even know it! Pick up a book, concentrate. Allow your mind to focus on ONE thing and you’d be amazed at how much deeper you can consume and absorb in-depth information. Release Stress and Worry! 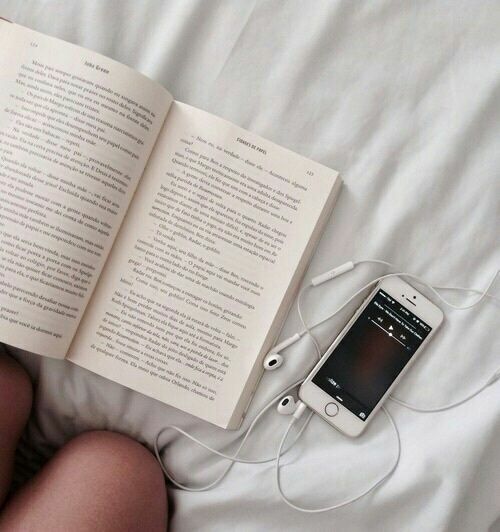 Research has shown that reading is by far one of the best ways to relax your body and mind. It allows the mind to concentrate and escape into a literary world eases the tensions in the rest of the body. A recent study showed that it takes about 6 minutes of reading to slow your heart rate and relax your mind. Be a Better Communicator! Reading not only increases your knowledge about things, people, experiences, etc., but also your vocabulary, which in turn, can make you a better communicator. In the creative world, being a good communicator is essential to our work. Your vocabulary increases exponentially the more you read. Words nurture creativity and having more words at your disposal will help you communicate effectively. In an effort to keep my creative mind fueled, I always read books that challenge my creative processes and imagination. Steal Like An Artist by Austin Kleon, a young, hungry artist and writer based out of Texas, is by far the best read I’ve experienced on creativity and pushing yourself to step outside of our norm. Austin Kleon was asked to speak on creativity to college students in New York. He shaped his speech around the ten things he wished someone had told him when he was starting out. The talk went viral, and the author dug deeper into his ideas and created this book. Along with his writings, “Show Your Work” and the “Steal Like An Artist Journal”, his perspective on the creative world and how we pour into it, is insightful to say the least. His book was not only a quick and stimulating read, but is filled with humor, dynamic illustrations, fun exercises and examples that helps you think and explore your creativity. He explains the art of sharing ideas and the process behind the product created by other artists. I wondered HOW I would pass along this immense amount advice into a single blog post. The purpose of sharing this with the world is to provoke thought among my creative peers. Alike my newly found creative hero, Kleon, I’m sharing my sketched notes I jotted down along the way. ENJOY! Find 3 creative héros, research them, learn about them, study their work and copy their work. Manifesto: Draw the art you want to see, start the business you want to run, play the music you want to hear, build the products you want to use and do the work you want to see done. Computers have robbed us of the feeling that we’re actually making things. Putting our hands on our work helps us to feel connected. Sketch more. The computer is GREAT for editing ideas, and its really good for getting your ideas/work ready for publishing. But it brings out the uptight perfectionist in us. We start editing ideas before we even have them fully thought out. The delete button is RIGHT there. We have such easy access to it and hit it far too often. Take the time to mess around. Get lost. Wander. You never know where its going to take you. Geography is no longer our master. Find a place that feeds you — creatively, socially, spiritually and literally, with good food. The greater the distance you are from the well-known (home), the greater the insight. Take care of yourself. The romantic image of the creative genius doing drugs and sleeping around is played out. Its for the superhuman and people that want to die young. Establishing and keeping a routine can be even more important than having a lot of time. The trick is, find a day job that pays decently, doesn’t make you want to vomit, and leaves you with enough energy to make things on your own, spare time. Get a calendar! It helps you plan work, gives your concrete goals and keeps you on track. Marry well. A good partner keeps you grounded. It takes a lot for a person to be married to someone with a creative pursuit. Creativity is subtraction. Choosing what to leave out and keeping what is important in art is the real challenge. It seems contradictory, but when it comes to creative work, limitations means freedom. In my quest to find the perfect fit for the next career as I move to Dallas, I’ve been asking myself, what does a creative designer need in a company to be successful? A lot of people suggest to do freelance work, or start my own business, but I’m just not ready for that yet. More than that, I want to be a part of a creative movement that nurtures innovative design. An ideal company is one that is the best at what they do. THE competition in the industry. A company that appreciates a relaxed atmosphere and creates a co-working space that lends to productivity. A company that values a FUN and mem orable experience for their employees every day. I want to work in flexible setting, where everyone is treated equal and as adults. Most importantly, I want the opportunity for growth and self-development. A company with a stable foundation and has plans for its future. One that hires only exceptional people, people who are smarter than them, disciplined and responsible people. They hire people who are enthusiastic about their products and future of the company. Those with self-starter minds that live a healthy and active lifestyle and take care of themselves, those that view their bodies and minds as their biggest investment. Lastly I want to work in a company with a culture and vision that EXCITES me and ignites my passion as a creative leader. Finding the right place to take my talent has been tiresome, yet rewarding and refreshing. I’ve compiled 12 factors that should be considered before accepting a new job offer, just remember it isn’t ALL about the money. Finding pleasure in your job, puts perfection in your work. 1. It makes a positive difference. Choose a job that adds value to our world, that leaves it better than you found it, and genuinely helps other people. 2. You enjoy your co-workers. Given the fact that you will spend a large percentage of your day at work, be sure you enjoy the people around you. It is comforting to know that they support you, cheer for you, and work together as a team. 4. You are trusted. It’s nice to know that somebody isn’t always looking over your shoulder. And when you are given a task, you are given the freedom to complete it. If you’re in a leadership role, make sure your boss trusts you to make the best decisions and values your input. 5. It is something you love to do. Make sure this job keeps you motivated by its very nature. 6. It fits your personality. Anyone who has ever taken a personality test knows we all have unique personalities that thrive in certain environments. Some enjoy working with people, others enjoy completing tasks. Some like making the decisions, others don’t. Find a job that fits your sweet spot. 7. It challenges you to grow. Look for a job that will make you better, as a matter of fact, the BEST at what you do. Whether through challenging assignments, educational opportunities, demanding excellence, or informal mentors, a job that forces you to grow beyond your current skill set will make you a better person and it, a better company. 8. The company’s values align with yours. At the end of the day, your integrity is what matters most. Don’t compromise it every time you walk into the workplace. If you are at a job that requires you to suspend your personal convictions, you don’t need to be—nor should you be. 9. A flexible, results-oriented culture. A culture of flexibility suggests a results-driven focus—one that is more interested in you successfully completing your job with excellence than clocking in a set amount of work hours during a specified time of the day. 10. It values family. You value your family. Your job should too. 11. It brings balance to life. Work is not so bad when you love it. But if you are not allowed to explore other endeavors (play/hobbies/family) because of its demands, it is not healthy for your soul, life, or body. Find a job that allows you to enjoy your life outside of work too. 12. It brings you satisfaction. The ability to look back at your day, your year, or your life with satisfaction is more valuable than any number of digits in the bank. Love your work and company and what it stands for. Great business cards communicate a whole lot of information — both directly and indirectly — about the people and companies they represent. The average person thinks of a business card stating the standard name/address/e-mail/phone data (does anyone use fax anymore?) information. But as a designer, we know creative business card designs convey personality, philosophy, attitude and brand. Along with interesting printing or production techniques, a business card can leave a lasting impression on your company. Here are few things to consider when designing your next business card. Business cards which are not rectangular in shape or have designs cut in them are made through a technique called die-cutting. The process is simple but will cost a bit more than regularly shaped cards. The process is kind of like a hole puncher one would use on paper to go in ringed binder. A template is made of the required shape which is used for cutting. Similarly, card exteriors could be cut in any shape as well. This technique are attractive to the eye and are much more dynamic. The letterpress printing technique gives an elegant look to the business card. This is done by pressing the paper through an inked raised surface, this gives the business card color and depth. The letterpress business card combine the craftsmanship of traditional letterpress with the modern ease of digital printing. Using an embossing technique in printing gives your business card a three dimensional effect. There is a certain die used similar to die-cutting, one for pressing the paper, which gives three dimensional, lifted look. You have the option of giving more grace to your business card by applying foil to desired areas. The foil has a shiny look and could be used in cards which have plain solid color. With foil stamping, you get an irresistible focus point, and a unique effect that you simply can’t achieve with metallic inks. The Vintage Revival stemmed from a series of themed events that was promoted with vintage design elements. The month of events ranged from retreats to fitness to barbecues. It was important that the events were obviously a part of the same effort, but also catered to the individuality of the events. Why has vintage design become so popular? What elements should be considered when designing for a vintage theme? How difficult is it to make something vintage, but feel modern as well? What vintage trends should I consider including? These were questions I took into account before putting the designs together. The badge concept lies at the very heart of most vintage designs. Designers typically shoot for a nice, simple shape that can be stamped anywhere and on anything. Circles are by far the most popular shape for these badges, but you’ll also find plenty of hexagons, shields and diamonds. The hipster movement embraces all things handmade, therefore vintage designs have a sketchy or hand drawn look that fits really well into this aesthetic. The artistic talent in this category is really impressive. Though vintage collections tend to be quite masculine in appearance, so it’s nice to see designs that push back just a bit on this trend and add complex floral arrangements and beautiful, muted colors. As we look back at early to mid 20th century design, we see simple designs without gradients, feathered shadows, or three-dimensional renders, but they still make bold visual statements. The main icons that are used are hammers, axes, wrenches, and factories. Our tech savvy generation is drawn to visuals that remind us of the industrial revolution. A lot of vintage design treatments feature animals like deer, moose, elk, etc. If it has antlers, it’s in. This lends to the overall outdoorsy trend in vintage designs (featuring mountains, trees, tents, etc.). Also, nautical themes are extremely popular, such as anchors, fish, and ropes. When we look back at how vintage logos were displayed ten years ago, we would typically see a solid background or maybe a gradient. The bright, colorful and complex Internet logos of the time looked too busy for anything else. In today’s age of design, our monotone, hipster logos are very simple. But look fantastic when simply overlaid on top of a great photograph. Design trends change how we create vintage graphics. Now that flat design is trending, vintage design often feature thin lines and simplified illustrations. With all of this in mind, I developed a series of promotional fliers that consistently represented the theme, while appealing to the modern eye. Vintage design trends are continuously developing. Take inspiration from different designs, color choices and create something beautiful.